Lee Meehan Roofing is a Gold Coast family owned and operated metal roofing business with over 10 years experience in the industry. We provide quality roofing and construction services at a competitive price, specialising in metal roofing, wall cladding, asbestos removal and metal roofing in Brisbane. 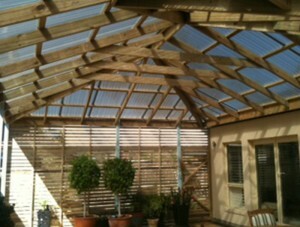 LMR only use the highest quality Australian made materials, and source our metal from Bluescope Steel. We also make sure you receive your warranty from Bluescope Steel for that extra peace of mind.